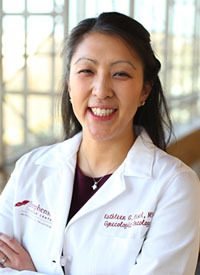 Repeated use of PARP inhibitors may be a beneficial treatment strategy in the future for women with recurrent epithelial ovarian cancer, according to the results of a retrospective, multi-institutional study presented at the 2019 SGO Annual Meeting. The findings suggested that prior exposure to PARP inhibition may not lead to resistance, which could lead to increased use of repeat PARP treatment going forward. In the small retrospective review of 22 patients with epithelial ovarian cancer, the median age was 54.5 years (range, 42-69); the majority of patients were Caucasian (n = 14; 63.6%). Half of patients had a germline BRCA mutation, 2 patients (n = 9.1%) had a somatic BRCA mutation, and 9 patients (40.9%) tested negative for both. In these 22 patients who received ≥2 lines of therapy containing a PARP inhibitor, there were 10 complete responses (CR; 45.5%), 3 partial responses (PR; 13.6%), 4 cases of stable disease (SD; 18.2%), and 2 patients with progressive disease (PD; 13.6%). For initial PARP inhibitor use (PARPi1), 12 patients (54.5%) received veliparib (ABT-888); 7 patients (31.8%) with olaparib; (Lynparza), 3 patients (13.6%) with rucaparib (Rubraca), and none with niraparib (Zejula). PARPi1 was used as maintenance in 2 patients (13.6%). Among patients treated with PARPi1, treatment was discontinued because the planned number of cycles was reached (n = 10; 45.5%), disease progression (n = 8; 36.4%), toxicity (n = 2; 9.1%), and adverse events (AEs) of other chemotherapy and patient choice (n = 2; 9.1%). “Despite the fact that 8 patients discontinued initial PARP [inhibition] due to progression of disease, 5 of 8 may have experienced clinical benefit in the form of stable disease before progressing,” Essel said. Of the patients treated with a second PARP inhibitor (PARPi2), 10 patients (45.4%) received niraparib; 6 patients (27.3%) olaparib; 6 patients (27.3%) rucaparib, and none with veliparib. Three patients (13.6%) used PARPi2 as maintenance therapy. Best responses in this group included 3 patients who experienced PR (13.6%), 3 with PD (13.6%), and 13 with SD (59.1%). Of note, the 3 patients who experienced a PR to PARPi2 had a BRCA mutation and had all experienced a CR to PARPi1. “There does seem to be a signal for rechallenge with a PARP inhibitor in this population,” Essel said. PARPi2 was discontinued because of disease progression (n = 13; 59.1%), toxicity (n = 6; 27.3%), and financial reasons or provider choice (n = 2; 9.1%). One patient (4.5%) currently remains on therapy with PARPi2. Regarding safety, in PARPi1 and PARPi2, patients experienced grade 3/4 anemia (4 vs 1, respectively), thrombocytopenia (5 each), neutropenia (4 vs 1), non-hematologic toxicities (3 each), and any toxicity (10 vs 7). Toxicity following initial PARP inhibitor use was not significantly associated with toxicity following second PARP inhibitor therapy, suggesting safety may be acceptable, Essel said. She also acknowledged that the study was limited due to its population size, and in turn overall response to initial PARP inhibitor use did not predict overall response to second PARP inhibitor therapy. Essel KG, Behbakht K, Lai T, et al. PARPi after PARPi in epithelial ovarian cancer. Presented at: 2019 SGO Annual Meeting; March 16-19, 2019; Honolulu, HI. Abstract 7.